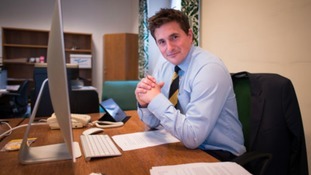 The business community is lending its support to the thousands of servicemen and women leaving the military, either through choice or because of defence cuts. They have been outlining job opportunities at a careers event at Catterick Garrison, which is Europe's largest military base. Dominic Hamberg of the British Forces Resettlement Services and Lance Corporal Gary Daye of the Scots Guard spoke to Calendar. The two soldier, who died in crash on Saturday near Catterick Garrison, have been named by police as 23-year-old Mark McKeen from Northern Ireland and Codie Richardson, who was 20, and from Stockton-on-Tees. Two soldiers have been killed after their car crashed into a tree, near Catterick Garrison in North Yorkshire. The accident happened just after 8pm last night on the Leyburn Road. A twenty three-year-old man was pronounced dead at the scene and a twenty-year-old woman died later in hospital. A man and a woman both serving in the Army have been killed after a car crashed into a tree.The incident, involving a black Seat Leon car, happened just after 8pm last night on Leyburn Road in Catterick Garrison, North Yorkshire. A 23-year-old man was pronounced dead at the scene and a 20-year-old woman died later at Darlington Memorial Hospital. Both were serving Army personnel based locally. Police have released a CCTV image of a man suspected of assaulting two soldiers in a bar in Catterick Garrison. The man is alleged to have launched an unprovoked attack on the soldiers in Louis’ Bar, on Kitchener Road, at around 3am on Friday 8 November 2013. One of the soldiers, aged 27, was knocked unconscious and was treated at the Friarage Hospital in Northallerton before he was allowed home. His colleague, aged 21, suffered two black eyes, a broken nose and a fractured cheekbone in the incident. He received treatment at James Cook Hospital in Middlesbrough for his injuries. North Yorkshire Police is appealing for witnesses and information about an attempted robbery and assault on an 11-year-old boy at Catterick Garrison. The incident occurred as the victim was walking along Byng Road, towards Catterick Road, between 4.45pm and 5pm on Wednesday 13 November 2013. As the boy passed the area of D’Arcy Court on the corner of Byng Road, he was confronted by three older youths aged between 16 and 18. One of the youths told him to hand over money but he carried on walking. The boy was then followed into a nearby alleyway and was pushed to the floor where one of the suspects stamped on his ankle before they ran off empty handed. The three youths are described as white, with two of them having Liverpudlian accents and one was on a purple or red BMX bike. Police are searching for a missing 10-year-old boy from North Yorkshire. Jonty Willis-McKendry has not been seen since 11.50am today when he left Carnagill Primary School in Catterick Garrison. He is described as being small for his age. When he left the school he was wearing a navy sweatshirt, grey trousers and black shoes. Anyone who can help find Jonty should contact North Yorkshire Police on 101. A lorry driver from East YorkshireGoole who caused the deaths of two soliders in a crash in Cumbria has been jailed. 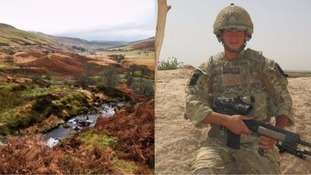 Private James Austin and Lance Sergeant David Gartland were on their way back to Catterick Garrison when they were killed in September 2011. Hannah McNulty reports. A lorry driver from East Yorkshire accused of killing two soldiers has been acquitted of causing death by dangerous driving - but found guilty of causing death by careless driving. Colin Pattison crashed in Cumbria at around 30mph into the back of an Army Land-Rover. The army vehicle had hit the trailer of an articulated lorry which had broken down following “catastrophic engine failure”. Private Jim Austin, 24, of 400 Troop Royal Logistics Corps, and Lance Sergeant David Gartland, 40, of the Grenadier Guards died. They were both based at Catterick Garrison, North Yorkshire. A lorry driver from Goole accused of killing two soldiers on the A66 in Cumbria has told his trial he 'misjudged the density' of smoke billowing across the road but said wasn't driving too fast at the time. The soldiers died after being involved in two crashes with two lorries while travelling back to Catterick Garrison in North Yorkshire following a training exercise. The driver of the second lorry, Colin Pattison denies all the charges against him. Hannah McNulty reports.